Galaxy Thermoplast Pvt. Ltd. is one of the fastest growing producers and traders of PFA Lined Window Sight Glass. 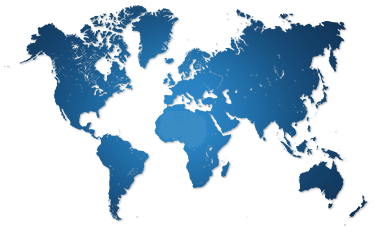 They adhere to national as well as international standards. 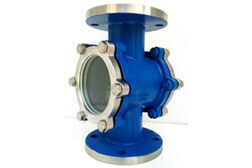 FEP/PFA Lined Window Sight Glass is used for monitoring the flow in pipelines for a wide range of applications. SS 304 PFA Lined Window Sight Glass is a device used for any kind of non-transparent pipeline to observe the flow of liquid. 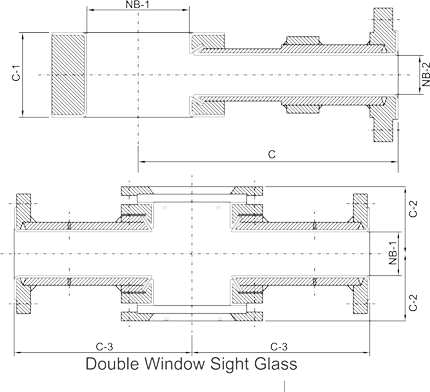 SS 316 PFA Lined Window Sight Glass can be installed as horizontal pipes or vertical pipes. This is made from a highly corrosion-resistant material which is intended for use with highly aggressive, toxic and corrosive media. Manufacturer of Comprehensive Range PTFE Line Double Window Sight Glass, SS 304 PTFE Lined Window Sight Glass, High Quality PTFE Lined Window Sight Glass, PFA Lined Window Sight Glass, PTFE Lined Window Sight Glass, SS 304 PTFE Lined Window Sight Glass, Perfluoroalkoxy Lined Window Sight Glass Supplier in Mumbai, India. Dealer & Distributor of PFA Lined Window Sight Glass, Polypropylene Lined Window Sight Glass Manufacturer, Teflon PFA Lined Window Sight Glass, PTFE Lined Stainless Steel Window Sight Glass, Largest Stockist of FEP Lined Window Sight Glass, PTFE Lined Double Window Sight Glass Price, MS Lined Window Sight Glass in India. MS FEP Lined Window Sight Glass is constructed in such a way that it gives a complete view from any angle. 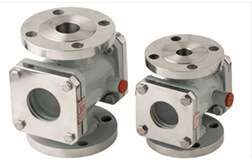 It provides a quick, reliable and an economical way to verify the flow of liquids through industrial process pipelines. MS PFA Lined Window Sight Glass is ideal for viewing fluids such as acids, sulphates, chlorides, beach solutions, solvents and phenols. It is of a bi-directional type and is easy to install in any in any orientation. Galaxy Thermoplast Pvt. Ltd. has designed all the FEP/PFA Lined Window Sight Glasses with an outstanding quality of raw materials. 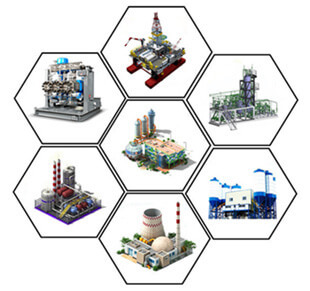 The customers are provided with responsive after sales service apart from other advantages of trading with Galaxy Thermoplast Pvt. Ltd.
A) Sight Glass are supplied either in FEP OR PFA lined depending on process liquid handled & as per standard resin specification. ASTM D 2116 & ASTM D 3307 Type II respectively. 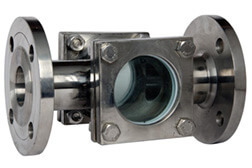 B)	Sight Glass are being supplied with fixed flanges. 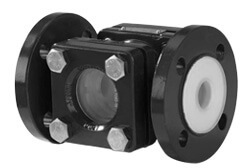 However it can be supplied with loose flanges as per individual customer's requirement & confirm to ASTM A-105 or IS 2062. We are Experts in Exporting SS 304 PTFE Lined Window Sight Glass in India, Chile, Czech Republic, Algeria, Poland, Egypt, Mexico, Morocco, Kuwait, Switzerland, Iran, Chile, Greece, Kazakhstan, Taiwan, Yemen, New Zealand, Iran, Brazil, United Arab Emirates, Finland, Venezuela, Denmark, Belgium, Mexico, Qatar, Macau, Spain, Sri Lanka, Israel, Argentina, Zimbabwe, Ghana, Poland, France, Norway, Puerto Rico, Romania, Ireland, Angola, South Korea, United States, Australia, Libya, Serbia, Canada, Costa Rica, Croatia, Peru, Turkey, Hungary, Namibia, Kenya, Jordan, Malaysia, Bahrain, China, Colombia, Bangladesh, Nigeria, Thailand, Nigeria, Oman, Italy, Russia, Netherlands, South Africa, India, Germany, Gabon, Japan, Azerbaijan, Singapore, Sweden, Lithuania, Iraq, United Kingdom, Bulgaria, Estonia, Ukraine, Pakistan, Vietnam, Tibet, Ecuador, Afghanistan, Trinidad & Tobago,Tunisia, Austria, Indonesia, Nepal, Lebanon, Bhutan, Portugal, Gambia, Belarus, Saudi Arabia, Slovakia, Philippines, Mongolia, Hong Kong, Bolivia. We are Experts in Suppling MS FEP Lined Window Sight Glass in India, Ahmedabad, Pune, Vadodara, La Victoria, Brisbane, Cairo, Vung Tau, Bogota, Granada, Mumbai, Chiyoda, Kuala Lumpur, New York, Ho Chi Minh City, Port-of-Spain, Gimhae-si, Sydney, Secunderabad, Ankara, Dubai, New Delhi, Santiago, Ahvaz, Howrah, Chandigarh, Manama, Hong Kong, Coimbatore, Edmonton, Lahore, Melbourne, Lagos, Courbevoie, Ernakulam, Toronto, Baroda, London, Sharjah, Rajkot, Surat, Aberdeen, Seoul, Milan, Chennai, Petaling Jaya, Riyadh, Ulsan, Al Khobar, Busan, Tehran, Nashik, Nagpur, Bangkok, Ludhiana, Noida, Haryana, Jaipur, Thiruvananthapuram, Dammam, Geoje-si, Mexico City, Hanoi, Singapore, Istanbul, Montreal, Bengaluru, Kanpur, Jakarta, Karachi, Jamshedpur, Hyderabad, Caracas, Navi Mumbai, Pimpri-Chinchwad, Perth, Faridabad, Jeddah, Moscow, Al Jubail, Atyrau, Visakhapatnam, Muscat, Kuwait City, Indore, Dallas, Gurgaon, Bhopal, Rio de Janeiro, Algiers, Colombo, Doha, Thane, Madrid, Calgary, Abu Dhabi, Houston, Los Angeles, Kolkata, Ranchi.